Tender, warm, sweet, flavorful. Yum. Toast 2 slices of ezikiel bread. Mix 2 tbsp of low fat ricotta cheese or farmers cheese with powdered stevia. 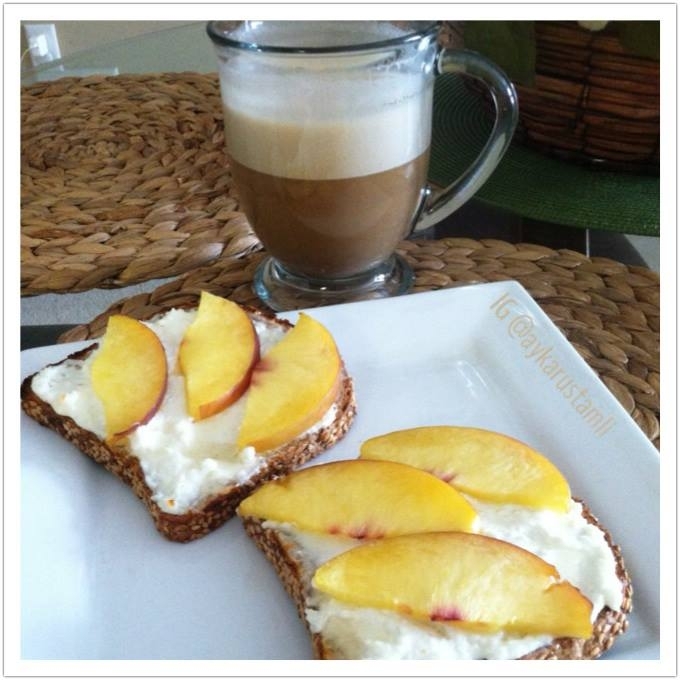 Spread the cheese on bread and top with ripe peach slices. Broil on HI for about 2 minutes till cheese get melty and edges get slightly crusty. Drizzle with honey and enjoy warm.